Enjoy the timeless elegance of luxury travel by rail. Unhurried and untroubled,these classic railway journeys radiate romance, elegance and grandeur for all who step aboard. 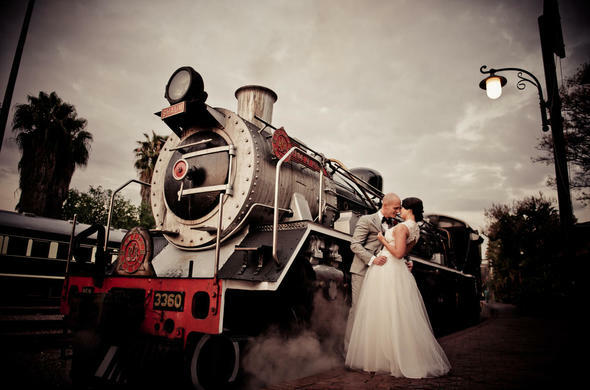 One of South Africa's finest luxury trains, Rovos Rail, offers you luxury train travel from a bygone era. 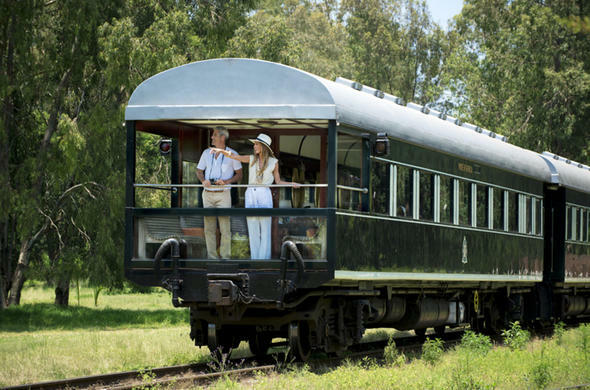 Superbly restored 1920's Edwardian coaches, take you on a romantic journey aboard 'The Pride of Africa', from Cape Town to Victoria Falls, Dar-es-Salaam and Cairo. 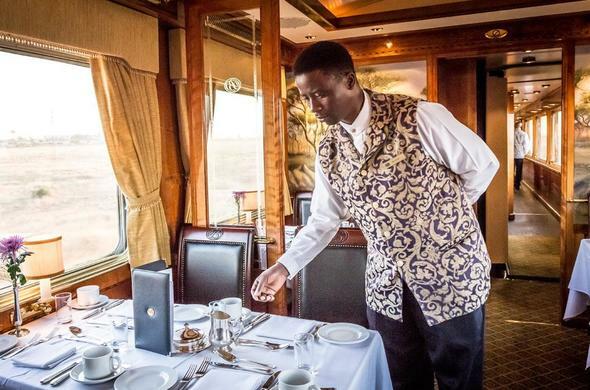 Five-star Blue Train luxury combines pure comfort, excellent service and first-class hospitality. Fine linen, excellent cuisine and exquisite silverware enhance the pleasure of train travel experience while you journey through some of the world's most spectacular scenery.